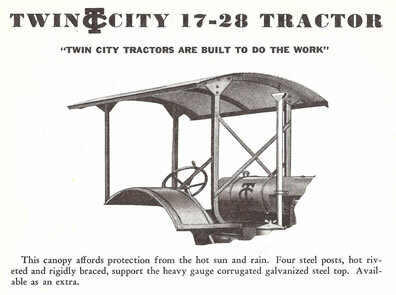 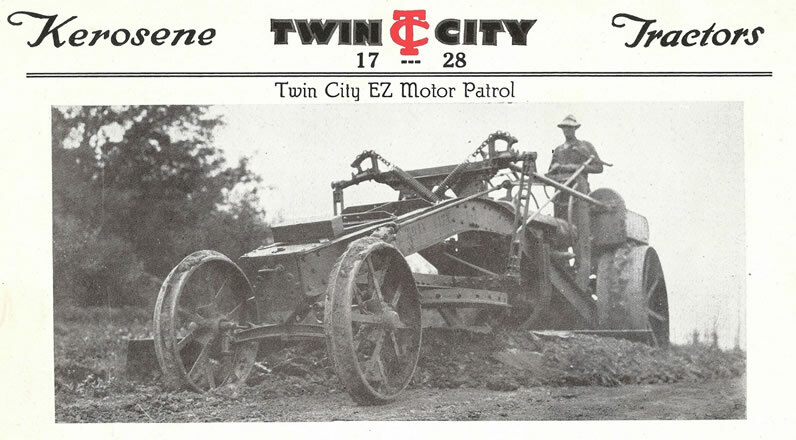 From minor add-ons like mud scrapers, to more complex road grader conversions, this page shows options offered by Minneapolis Steel & Machinery that were fitted to an existing tractor model with little or no modifications to the basic tractor design. 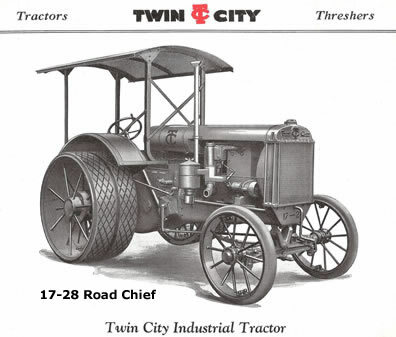 A great deal of the Twin City line was engineered to satisfy the needs of contractors and road building duties rather than providing an affordable tractor for the small farmer. 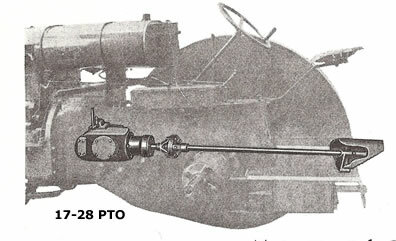 Power steering was fitted to some of the heavyweights to ease the need of frequent re-positioning of a heavy machine. 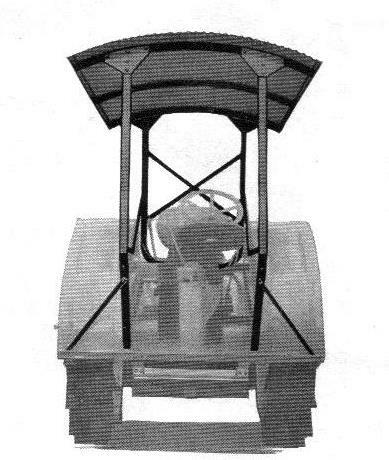 When fitted with a front mounted winch for large construction efforts, a cumbersome giant tractor would be difficult to maneuver without assisted steering. 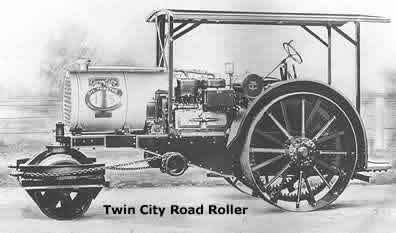 Road roller fronts were applied in place of the stock front axle on some early heavyweights as well. 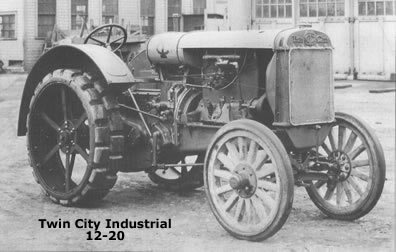 Early industrial versions used heavy duty hardwood wheels that later evolved into steel spoked units that were fitted with hard rubber for use on paved surfaces. 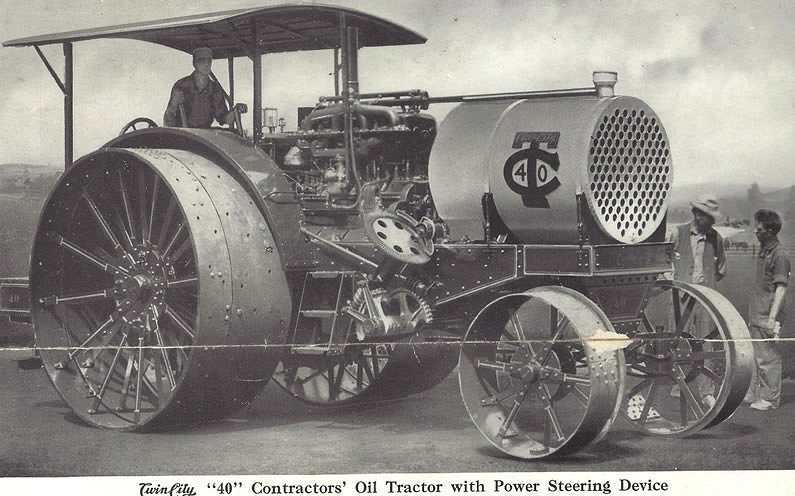 In the early 1930's pneumatic truck type tires were first adapted to some industrial tractors and later offered by wheel makers like French & Hecht to replace steel wheels in general. 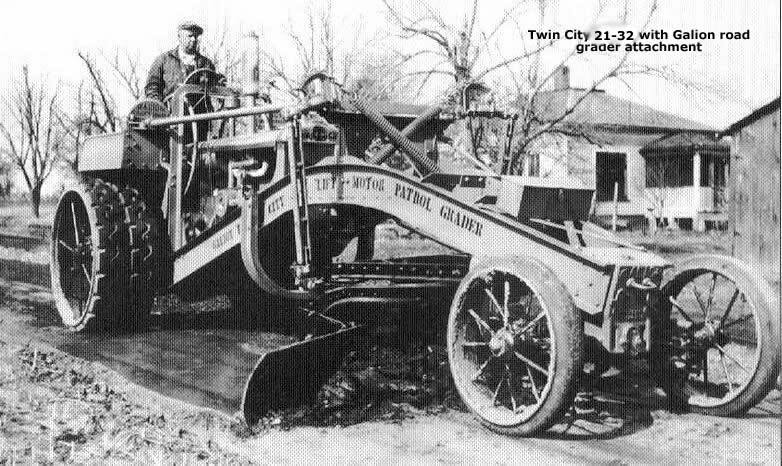 A number of 17-28 and 21-32 models served road duty as a grader conversions. 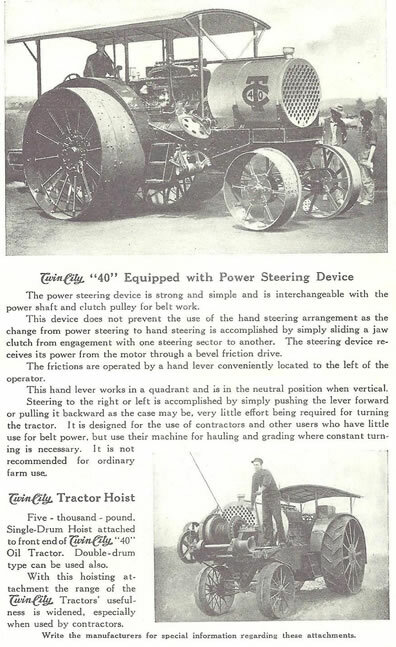 By moving the stock front tractor axle and wheels forward, the tractor could be bolted into a grader attachment offered by other manufacturers. 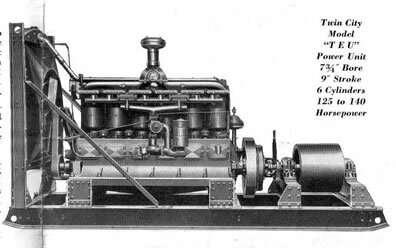 The 17-28 shown with a cab has a Hawkeye grader conversion and open station units are Gallion brand. 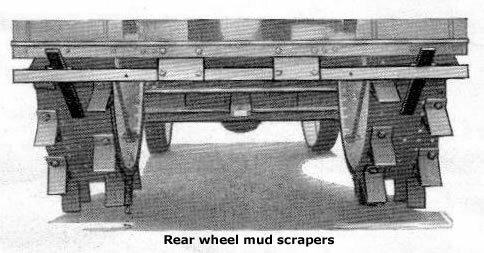 Canopies, power take off, and simple mud scrapers were offered along with a wide variety of wheel and lug configurations. 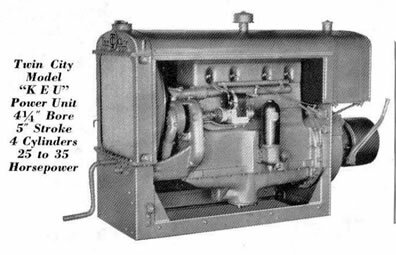 Stationary power units provided a lower cost alternative that were based on most of the popular tractor engines.